A ‘Ghana First’ demonstration opposing a recent military cooperation agreement with the United States of America, which has been ratified by parliament, is underway in Accra. Organizers, led by a group calling itself the Ghana First Patriotic Front (GFPF), say this is only a first step to ask the government to back out of the ‘lopsided’ deal as it is inimical to the security and stability of Ghana. 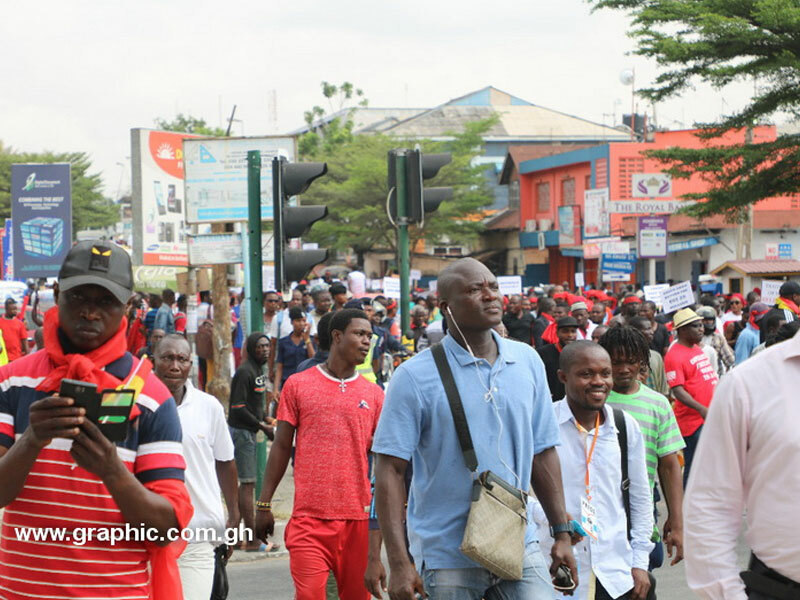 A number of opposition politicians have joined in the demonstration, which started from the Kwame Nkrumah Circle and headed towards central of Accra. Former Vice-President, Paa Kwesi Amissah Arthur and others who have declared interest in running for National Democratic Congress presidential candidacy, including Dr. Ekwow Spio-Garbrah, Sylvester Mensah and Prof. Joshua Alabi as well as parliamentarians Samuel Richard Quashigah, Okudzeto Ablakwa, James Kludze Avedzi and Rockson Dafeamekpor are all participating. Hassan Ayariga of the All Peoples Party, Bernard Mornah, Chairman of the People’s National Convention, Socialist Forum convener Kwesi Pratt Jnr. and Bede Ziedin are among participants. Some of the participants in the Ghana First demonstration are bearing placards saying "Ghana not for sale", "Ghana is better than $20 million", and "Why would you betray Ghana for money" among others.